The Blacksburg Baseball Association is a self-funded, non-profit organization developed to provide players in the Blacksburg school district with the opportunity to participate in competitive baseball. 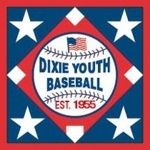 The BBA is an official franchise of Dixie Youth Baseball. 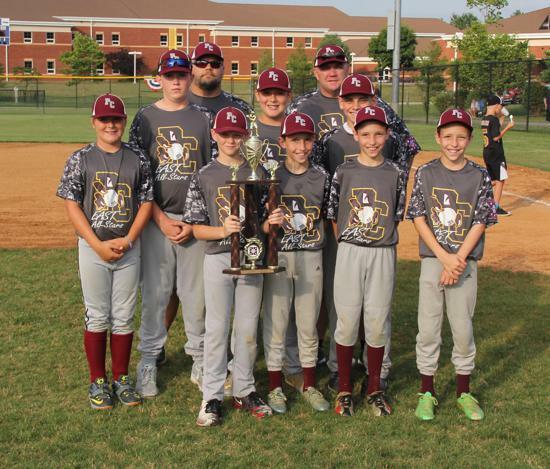 Each Spring, BBA Dixie Youth teams from Blacksburg participate in a local league consisting of teams from Auburn, Christiansburg, Radford, and Shawsville. Each age group division is comprised of about 18-20 area teams. Teams will typically play each other once, resulting in a 18-20 game schedule. In cooperation with the Town of Blacksburg's Parks and Recreation Department, the BBA is also the franchise holder of the Babe Ruth (13-15 year-olds. Additionally, the BBA runs a developmental Fall Baseball Program, and a Middle School Program in the Spring for players at Blacksburg Middle School. The BBA also plays a major support role for the BHS Varsity & JV programs. Spring registration for Dixie Youth Baseball has officially opened and will run through Friday March 15th @ 5pm. There will be no "in person" registration...By U.S. mail only. Registration form can be found under "Spring Dixie" tab at the top of the home page. Depending on registration, we reserve the right to not accept late registrants. Late registrations cause significant issues for the league such as, organizing more teams / coaches, field space, additional uniform orders and small order fees, and etc. PLEASE get your registration in on time to officially reserve your spot on a team. HEAVILY dependent on the weather, practice will start sometime approximately the last week of March and games around the second week in April. Once placed on a team, you will be contacted directly by your coach. Click on "Middle School" tab at top for full information on the upcoming 2018 Middle School Season. 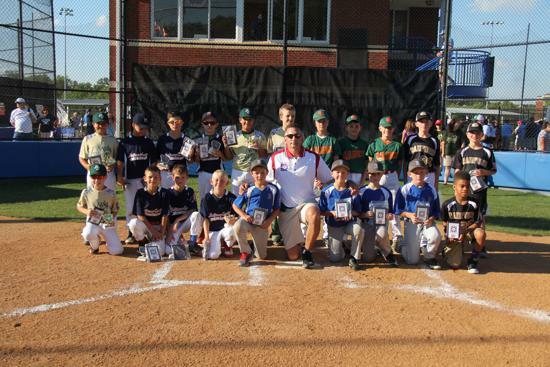 The 2016 District 3 Dixie Youth All-Star Tournament is being held in at the Harkrader Complex in Christiansburg, VA. The tournament will run June 24 - June 29, with the "if necessary" game being scheduled for June 30th. Click on Minors and O-Zone tabs on right hand size for full information in each group. Please see each age division for the respected Dixie Youth All-Star Bracket. Updated Daily. 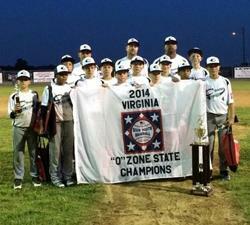 Congratulations to the Christiansburg O-Zone All-Star Team for Winning the Virginia State Tournament! 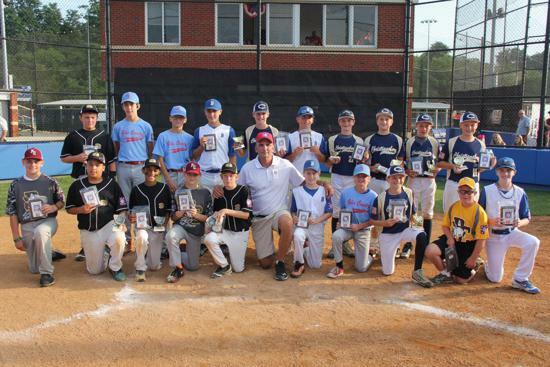 They will now represent Virginia in the Dixie Youth World Series, held in Lexington, South Carolina. Team "Virginia" will play the Texas State Champions on Saturday, August 9th @ 8pm. Interesting fact: This is the fourth year in a row a team from District 3 (one age group or the other) has represented Virginia in the Dixie World Series. Go Christiansburg / Team Virginia! The 2013 Blacksburg Middle School Team finished their season with an impressive 12-1 win over Tazwell. CJ Linares pitched four strong innings, permitting just 2 hits, giving up one earned run, and striking out 9 Tazewell batters. 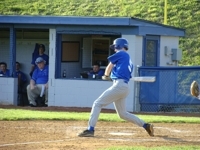 Offensively, Blacksburg pounded out 10 hits and was led by Blake Davis, who was 3/3 with a run and an RBI. Full Story in MS Section. After a week off due to the weather and Easter break, the Blacksburg Varsity traveled to Giles on Monday for a make up game with the Spartans. The Bruins kept going where they left off, winning 5-0. With the win, the Bruins improve to 5-1 on the season. The Bruins JV hosted Giles and won 11-1 in five innings via the 10 run rule. Hal Hughes was the winning pitcher, scattering 2 hits over 3 innings. Dylan Surface pitched in relief, retiring 6 Spartans in a row. Offensively, the Bruins were led by Jack Madigan, who went 2/3 with a triple and a single. Sam Noble was 2/4 with two singles. Full story in Varsity and JV tab(s). The Blacksburg Bruins traveled to Roanoke on Friday to face a senior laden Lord Botetourt team, and came away with an exciting upset 9-5 win. A huge rally in the 6th inning propelled the Bruins to victory, while pitcher Thomas Hughes kept the Cavaliers in check for most of the game. Jake Schirmer hit a grand slam to shut the door on the Cavaliers. Full story with pictures in Varsity tab. The Blacksburg Varsity hosted Patrick Henry on Wednesday and beat the Patriots 7-6. Offensively, the Bruins were led by Thomas Hughes, who went 2/3 and scored two runs. Senior Alex Shimozono recorded the win, while Tyler Davis pitched three strong innings in relief. The Bruins JV traveled to Roanoke to face the Patrioits and handed them a 11-4 loss, behind the strong pitching of Hal Hughes and the bat of Andrew Roberson. Full story in BHS Varsity and BHS JV League links. The Blacksburg Bruins traveled to Northside for their first road game of the year, losing to Northside 6-2. The young Bruins would take the lead on two ocassions early, but a big Northside inning put Blacksburg behind and they could not battle back. Offensively, Blacksburg was led by Ethan Goforth, who went 1/2. Full story in BHS Varsity League link. The Blacksburg Bruins got their second win in as many days with 1-0 dogfight win over the Radford Bobcats. Pitcher Thomas Hughes led the Bruins on the mound, pitching 7 strong innings, striking out three, walking one batter, and surrending just two hits. Offensively, Blacksburg had 5 hits, and was led by Alex Pickrell, who had an RBI double in the 2nd inning. Blacksburg JV won 4-1 behind the pitching of Jake Verniel and Jack Madigan. Full Story in "BHS Varsity" and "BHS JV" league links (on right). The Blacksburg Bruins beat Giles Thursday 10-5, behind solid pitching from Tyler Davis, good defense, and timely hitting. Offensively, Blacksburg had seven hits and was led by Morgan McCoy, who was 2 for 4 and Tyler Barry, who had 2 run home run. Pitcher Tyler Davis kept Giles in check for 5 solid innings, while Caden Croy pitched in relief, earning the win. The 2013 Blacksburg Middle School team started off their season with a 7-6 win at the Benjamin Franklin Eagles (Franklin County) on Friday night. 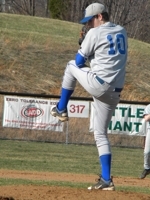 Pitcher Seb Cianelli earned the win on the mound. Full story in Middle School tab on right. 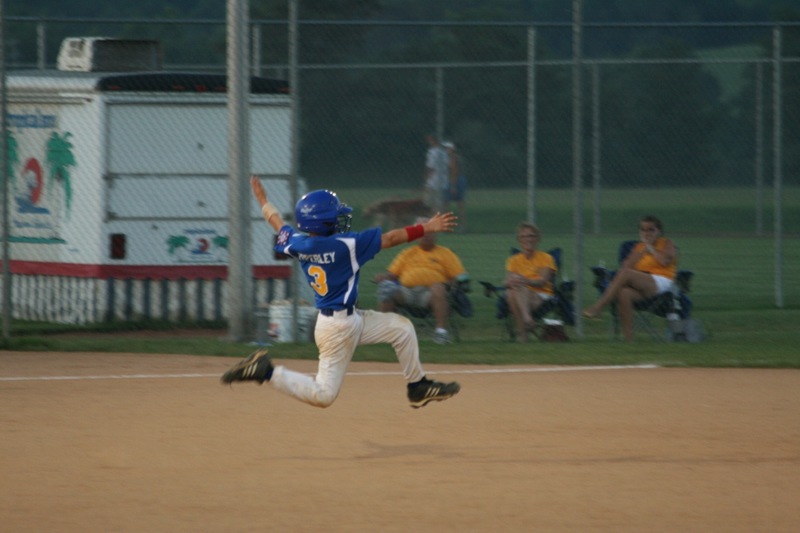 The BBA has updated the "Spring Programs" tab to reflect the upcoming registration information for 2013 Dixie Youth Baseball. Registration deadline is Friday, March 23rd, 2013. The Blacksburg Baseball Association has officially announced registration and tryout information for the 2013 Middle School Baseball Season. Please see the Middle School tab at the top of the page for complete information, including schedule. Blacksburg HS has announced the hiring of Danny Shouse as it's baseball coach, succeeding Jim Shockley. Full story in Varsity Section. The Championship game between Blacksburg and Christiansburg has been moved to 6pm to accomodate the umpire's work schedules. Please click on this link if you are interested in obtaining any pictures from this year's tournament. In the first day of the Dixie Youth District 3 Tournament, Pulaski West beat Radford to earn their first ever Minors Tournament victory, Patrick Co. beat Montgomery Co., and Christiansburg beat Blacksburg. In day two of the Dixie Youth District 3 Tournament, Patrick Co. beat Pulaski East, Blacksburg beat Radford, and Christiansburg beat Pulaski West. Both Patrick County and Blacksburg pitchers threw 1 hitters while collectively scoring 26 runs vs their opponents. The Demons build a big lead early, but had to fight off a comeback by Pulaski West. In day three of the Tournament, Pulaski East edged by Pulaski West, despite getting just one hit. Blacksburg beat MC in 4 innings 16-6, and Christiansburg beat Patrick 15-7 in a night game full of adventure that didn't end until almost 11:00 PM. In day four of the Tournament, Patrict County beat Pulaski East 15-2 and Blacksburg avenged it's loss to Christiansburg 5-3 in dramatic fashion. In day five, Christiansburg beat Patrick County 5-0 to advance to the championship gamve vs Blacksburg @ 6pm on Thursday. In day six, Christiansburg beat Blacksburg 9-8 to claim the District 3 Championship. The Minors "All Tournament Team" will be announced and presented at the conclusion of the Championship on Thursday. Awards will be given for first and second team. Details in latest articles of Tuesday's games. Full Story of each game in Tournament section (right hand side under "League links"). 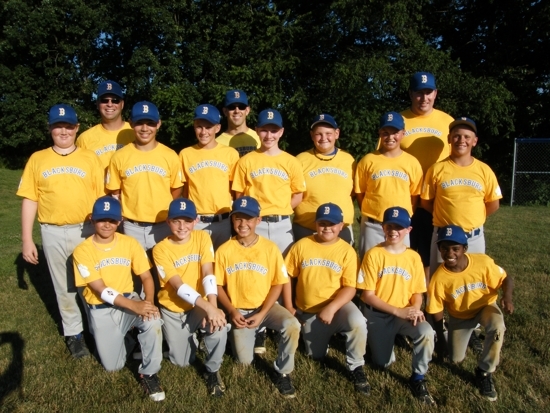 The Blacksburg Minor All-Stars begin play on Saturday, July 7th @ the Jaycee Field in Blacksburg vs Christiansburg @ 4pm. Click on picture for full version. Pulaski East Beats Blacksburg 7-5 in District 3 Championship Game. The Championship game lived up to it's billing, with both teams exchanging big blows early, with Pulaski East eventually prevailing, winning 7-5. See full story on District Tournament page, including the District 3 All Tournament Team. Christiansburg, Pulaski East, and Radford all advanced on day one of the District 3 Dixie Youth Tournament in Blacksburg. In day two, Blacksburg beat Radford, Patrick County beat Pulaski West, and Pulaski East beat Christiansburg. In day three, Christiansburg eliminated Radford, Patrick County eliminated Montgomery County, and Pulaski West beat Blacksburg in the finals of the winners bracket. In day four, Blacksburg elminated Christiansburg and Pulaski East eliminated Patrick County in the District 3 Semi-Finals. Blacksburg will play Pulaski East for the District Championship on July 4th @ 11am @ the JC Field in Blacksburg, Va.
Dixie Youth District 3 Director, Don Gresh, has implemented a first ever "All Tournament Team," both first and second team. 10 players on each team, or 20 total. (2) Pitchers, (4) Infielders, (3) Outfielders, and (1) Catcher. Plaques recognizing these individuals will be awarded at the end of the championship game. Read full story in the District 3 Tournament section (right hand side bar). The Blacksburg JC Field will be the site of the 2012 Dixie Youth District 3 Tournament this year. District 3 is made up of Blacksburg Baseball Association, Christiansburg P&R, Radford P&R, Pulaski East P&R, Pulaski West P&R, Montgomery County P&R (Auburn and Shawsville), and Patrick County. The 11-12 O-Zone Tournament will be held from Saturday June 30th - Wednesday July 4th. The 9-10 Minors Tournament will be held from Saturday July 7th - Wednesday July 11th. Defending Minors Champions are Blacksburg Dixie Youth and the defending champions for 11-12 O-Zone are Montgomery County P&R. 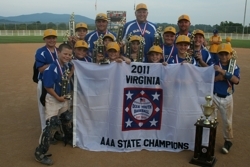 Please see "League Links" to the right for complete information re: the 2011 Blacksburg Teams. 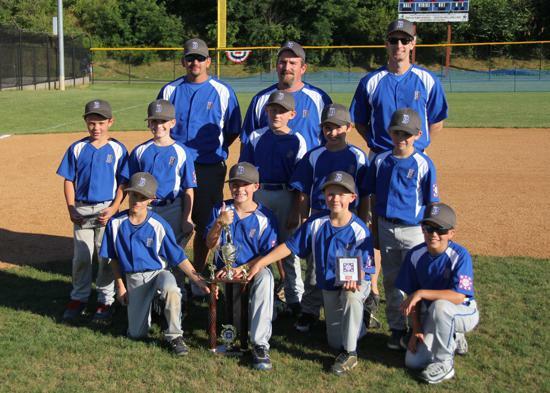 The 2011 Minors advanced all the way to the Dixie Youth World Series. Blacksburg varsity beat Salem 2-1 in an extended 9 inning game. Ben Fraley led the Bruins over the Spartans with a complete game, 2 hitter to get the win. Fraley allowed one unearned run (in the 2nd) in the effort and struck out 8 Salem batters. Friday the 13th was unkind to the Bruins as they battled arch rival Christiansburg in a ptichers duel that was spoiled by errors, losing 6-3. 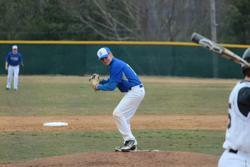 Starting pitcher Ben Fraley struck out 10, scattered 5 hits and only allowed 2 earned runs. Playing it's second game in two days, Blacksburg hosted the undefeated and defending State Champion Northside Vikings. The Bruins battled early, but eventually lost late 9-2. Read about both games in the Varsity section. On a rain soaked day, both Blacksburg teams swept PH, with Varsity winning 4-1 and JV winning 13-1. 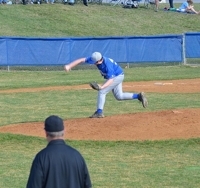 On Varsity, John Hinson pitched 6 innings and scattered 5 hits. Offensively, Blacksburg was led by John Hamborsky, who had 2 hits, stole 2 bases, and scored two runs. Due to Blacksburg's water logged field, Varsity was invited to play on VT's new all turf field, which was a special opportunity for both the Bruins and Patriots. Blacksburg Varsity was upset @ Giles by the score of 7-2, while the Bruin JV beat the Spartain JV 14-7. The Varsity was led by Casey Herman and John Hamborsky with two hits each. Varsity is now 4-4 on the season. For BHS JV, Caden Croy pitched three strong innings for the win. Offensively, Blacksburg was led by Morgan McCoy and Adam Linkous, with three hits each. The JV Bruins improve to 6-2 on the season. See more in Varsity and JV Sections. Blacksburg Varsity battled Lord Botetourt in a close 5-3 loss, while the JV redeemed themselves from an earlier loss, beating the Cavaliers 4-3 in a pitching duel. Ben Fraley led varsity, going 3 for 4, while Morgan McCoy pitched 6 1/3 innings to get the win for JV. Tyler Davis was 2 for 4 with 3 RBIs. See full story of both games in Varsity and JV sections. The Bruin bats came alive on Tuesday, scoring 8 runs to outpace PH 8-4 and improve to 4-2 on the season. Offensively, Blacksburg was led by John Hinson, Colin Ball, Thomas Hughes, and Ben Fraley, who had two hits each. BHS JV beat PH 4-0, led by strong pitching by Caden Croy and multi hits by Morgan McCoy. For complete story, see Varsity and JV sections on right hand side tab. BHS Varsity 3-1 After Rallying to Beat Radford 5-4. The Blacksburg Bruins came from behind in classic fashion on Tuesday to beat Radford 5-4. Blacksburg has rallied twice in one week to beat the rival Bobcats. See Varsity / JV link on right hand side for full story. The BBA has announced it's Spring registration information. Please click on "Spring Programs" at the top of the page for complete information. Deadline is 5pm on Friday, March 16, 2012. 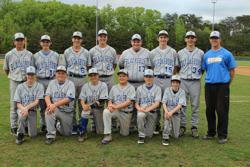 Please click on the "Middle School" tab at the top of the page for complete information re: the 2012 Middle School Baseball team. Full Blacksburg schedule can be found on Middle School or JV / Varsity tabs at top of page, which includes all MS, JV & Varsity games on one calendar. The Blacksburg Minors rally fell short on Monday, losing to Alabama 4-3 in a highly contested game in the second round of the Dixie Youth World Series. After sitting around a hotel for over two full days, the Blacksburg Minors finally were able to play some baseball. All games have been moved one day....Games will be played @ the same locations, same fields, and same times as previously scheduled. No minors games were played on Saturday. 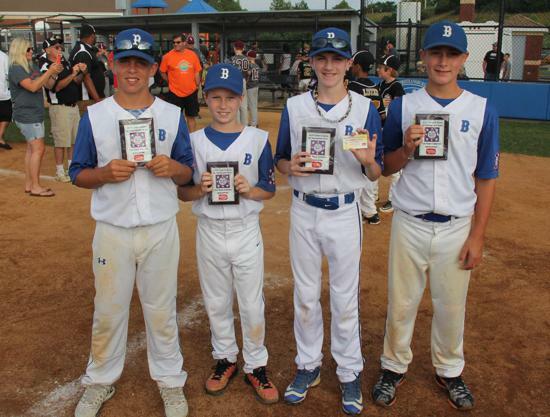 The Blacksburg Dixie Minor State Champions attended the World Series opening ceremony in Moore County, NC on Friday. 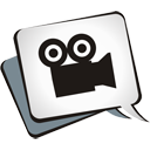 Watch the Blacksburg Minors play live in the World Series via Jockjive.com. First round game vs Texas @ 5:30 EST. The BBA announced it is now accepting Fall registration for Fall Baseball. BBA President Don Gresh said "this is a very unique situation for us right now....We're announcing and accepting Fall registration, but one aspect of Spring Baseball isn't over yet and won't be for at least another week, if not longer. As excited as we are about playing in the World Series, it's hard to believe that the two seasons are practically overlapping. This has never happened before. Most of the WS players will be moving up to O-Zone, so it will give them a chance to learn a new style of baseball before next spring. I strongly suspect they will need at least a mental break, if not a physical one also. This exactly why we have Fall baseball....So players can learn the next level of baseball in a very fun, and open atmopsphere, without the pressures of the regular baseball season." As the team made final preperations for their trip to the World Series, the Town of Blacksburg honored them by flying the Dixie State Championship flag on "Blacksburg Baseball Assocation Day." Click on picture for full sized version. Story and photos here. Blacksburg Mayor, Ron Rordam, reads the proclamation to the team. 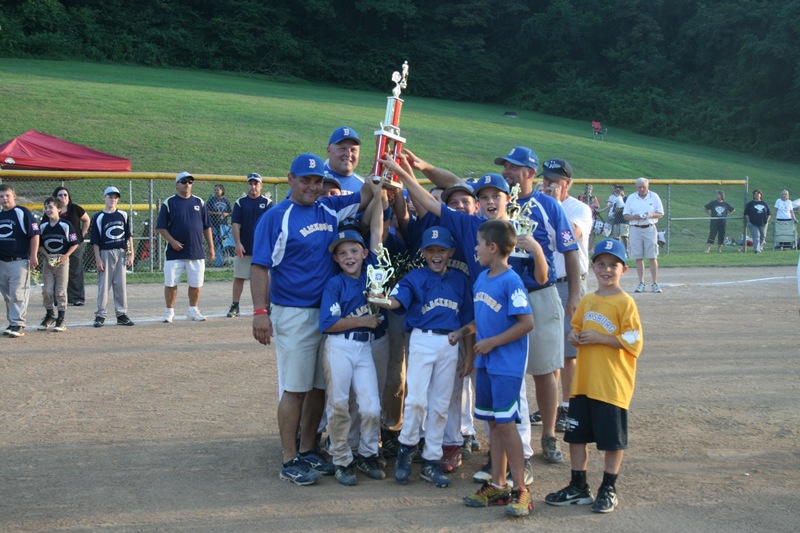 The Mayor of Blacksburg, Ron Rordam, proclaims that Thursday, August 11th, 2011 as "Blacksburg Baseball Association Day" in the Town of Blacksburg and invites the entire community to wish the Blacksburg All-Stars success in the 2011 Dixie Youth World Series. 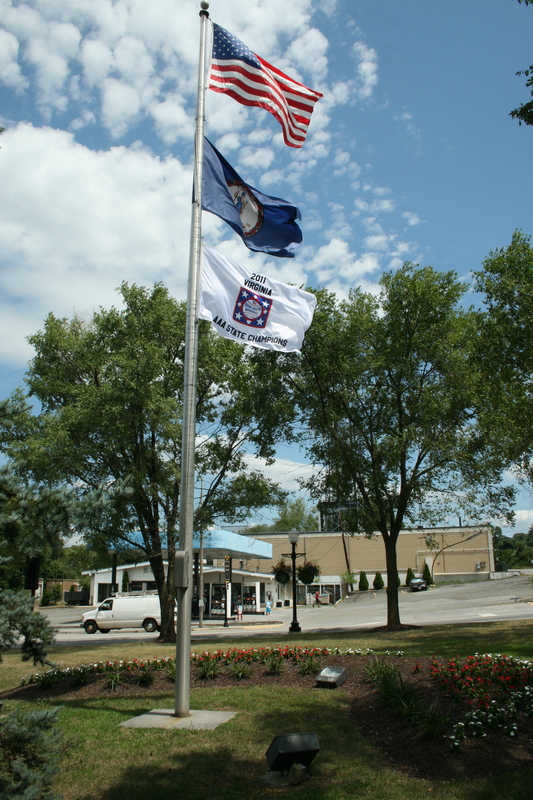 The Blacksburg Minor's State Championship Flag will fly all day at the Town's Municipal Building on Main Street. Full story and photos here. Mayor's promotes event on his blog. Read on Blacksburg's Facebook page. Blacksburg won the Virginia Minors State Dixie Championship on Thursday, beating Botetourt 18-0 in three innings via the 15 run slaughter rule. Blacksburg was led by Cole Epperley, who went 2/2, reached base three times, and scored three runs. The Blacksburg Minors beat Bedford East on Wednesday 10-0 to eliminate the Cavaliers from the tournament, while advancing themselves to the finals Thursday night vs Botetourt. The Bruins were led by Ben Freel and Luke Goforth who each had two hits. P Grant Johnston pitched 3 no hit innings and only faced 10 batters, recording 3 Ks, and forced 5 grounders back to the pitcher. Blacksburg beat Botetourt Tuesday 7-2 in the winner's bracket final to advance to the State Tournament Semi-Final game on Wednesday. With the win, the Bruins are now the only team without a loss in the tournament. Blacksburg was led by Davis Roberson, who went 3/3 with two RBIs. The Bruins would pound out 14 hits in just 3 innings to prevail over Farmville 22-6. 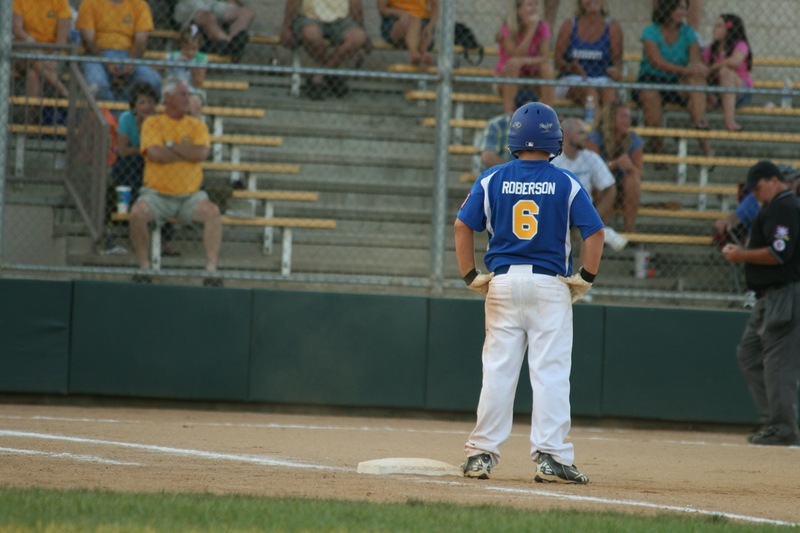 Blacksburg was led by Davis Roberson who reached base 4 times, had grand slam, and 5 RBIs. 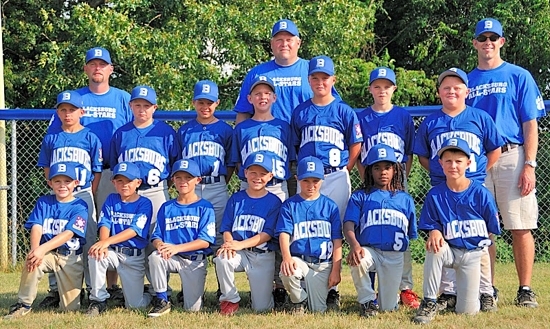 Blacksburg Minors defeated Bedford East in the opening round of the Virginia Dixie Youth State Tournament. In a game that was scheduled to begin at 4pm, didn't get underway until 6:45 due to a major storm delay. 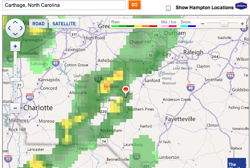 Approximately 15 minutes before game time, a monster storm hit the area and flooded the fields. The Blacksburg Minors attended the State Tournament opening Ceremonies on Friday at Salem City Stadium, where they were introduced to the crowd. Blacksburg claims 8th District Championship in 11 seasons. Blacksburg's 8th District Championship; 4th in 5 years; 5th State Appearance in 10 years. 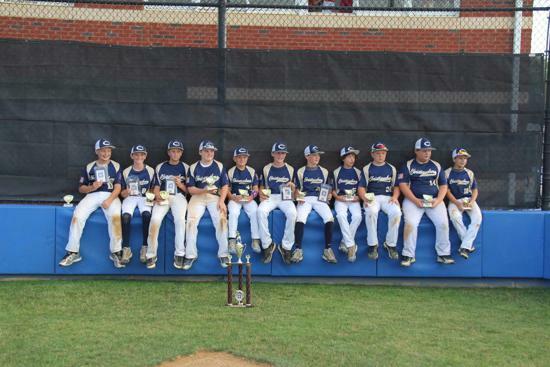 The Blacksburg NABF summer team went 2-1 in the weekend tournament, beat Brookville and Christiansburg. In a game halted early by storms, Blacksburg was led by the pitching of Ben Fraley and offensively by John Hamborsky. Ben Fraley pitched a complete game victory over the Spartans He allowed only 2 infield hits, struck out 7, walked none, and allowed no earned runs. Blacksburg Varsity & JV sweep Radford. The Varsity won 5-0 in their home opener behind Ben Fraley, who pitched six innings for the win, improving Blacksburg's record to 2-0 on the season. JV battled from behind to win 4-1 @ Radford. Full story. Both JV and Varsity swept Giles in their season openers. The Varsity stormed back from a 6-2 deficit, scoring nine runs in the 7th in an exciting come from behind win. BHS JV jumped out to a 5-0 lead in the first and won 7-5. 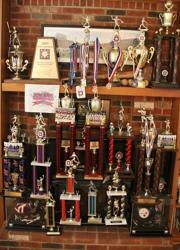 The Blacksburg Baseball Association is now accepting registrations for the 2011 Dixie Spring Season. Please click on "Spring Programs" at the top of the page for complete information. Please go to the "Middle School" page for complete information on Blacksburg Middle School tryouts. Parent handout and player registration forms have been posted. The BBA is accepting Fall Baseball registration through Wednesday, September 1st. Please click on the "Fall Program" tab along the top for complete information and registration form. Rustburg beat Blacksburg O-Zone 6-3 on Sunday night with solid pitching from their ace left hander who went the distance, scattering three hits. The Bruins would rally in the 6th for three runs, but came up short. The Blacksburg O-Zone team beat Bedford 7-6 in dramatic fashion on Saturday night. If there was such a thing as "ESPN Classic Youth Baseball Games", this one would certainly qualify. In a game full of drama, the Bruins would preserve the win when Ethan Goforth scored on a suicide squeeze with two outs in the last inning. In front of several hundred Madison Heights fans, the Blacksburg O-Zone team beat the host team 12-6 in the opening round of the State Tournament. Blacksburg Baseball has accomplished a lot in just ten Dixie seasons. 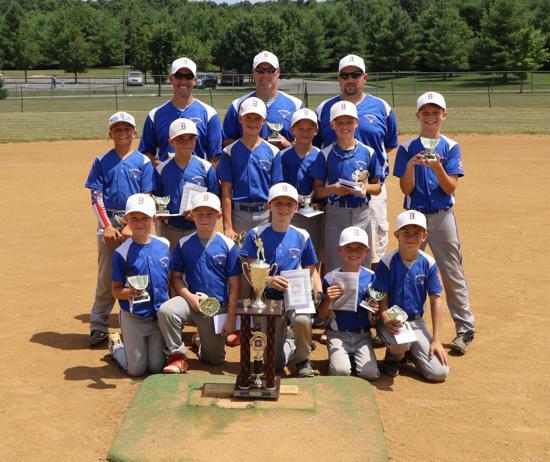 The Blacksburg O-Zone team beat Montgomery County 13-1 to claim the District three 11-12 year old O-Zone Championship. Pitchers Hal Hughes and Bryce Nicolau combined to give up just six hits and registered 4 Ks. Behind strong pitching from Grant Johnston, the Blacksburg Minors beat Radford 11-7 to advance to the Championship game vs Pulaski on Thursday. The Blacksburg O-Zone team bounced back from yesterday's tough loss to beat Christiansburg 7-2 in a rematch. Ethan Goforth pitched a complete game to get the win for the Bruins. A strange night unfolded at Shelor Motor Mile Park on Monday. The 6pm game between Radford and Montgomery County took nearly four hours to complete, thus causing the 8pm game between Christiansburg and Blacksburg to not start until almost 10pm. The night cap was filled with lots of drama as Christiansburg outlasted the Bruins in 8 innings, in a game that didn't end until after midnight. The Blacksburg Minors have made a habit of rallying from behind in this year's district Tournament and probably should be nicknamed the "cardiac kids." 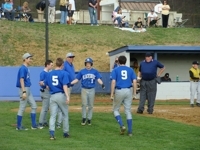 Tuesday would be no different as the Bruins would rally from a five run deficit to beat Christiansburg 10-7. The Blacksburg minors stranded 10 runners in a close loss to Pulaski. The Cougars rallied late to beat Blacksburg 5-4 on Monday night. The Blacksburg O-Zone team displayed a complete team effort on Monday, utilizing offensive firepower, solid pitching, and good defense to beat Montgomery County 12-4. The Bruin's bats pounded out 14 hits, and Head Coach Mike Goforth called upon three different pitchers to keep Montgomery County off balance. The Blacksburg minor All-Stars trailed 7-0 before rallying to score 17 unanswered runs to defeat Patrick County via slaughter rule. The Blacksburg O-Zone team received no favors in their random draw of the district tournament, assigned to play defending tournament champion and World Series qualifier, Christiansburg. The Bruins rallied from behind in the bottom of the 6th inning to advance to the second round of the tournament on Monday. 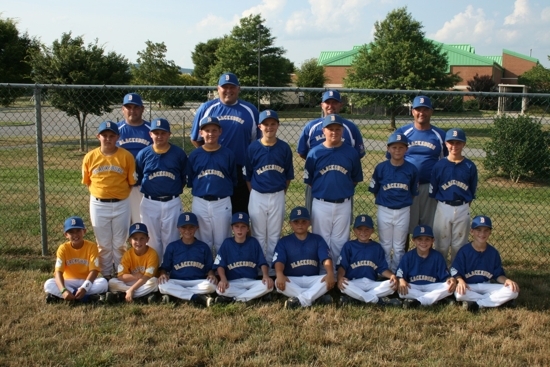 The Blacksburg 9-10 All-Star team opened the 2010 District 3 Dixie Tournament by beating Radford 12-2. ©2019 Blacksburg Baseball Association / SportsEngine. All Rights Reserved.